After good performances in the domestic league, the Real Madrid basketball team will now play a home game against Brose Bamberg, a complicated European rival for the Euroleague competition. Although at 4-8 Brose is not having a good Euroleague season (they are currently seventh) the German squad can’t be overlooked. It’s true that Real Madrid have won nine of the last 10 games against this opponent, but they have managed to always play close games against the Madrdistas in the last two years. Real Madrid comes from solid victory against Obradoiro at home in the Spanish Endesa League, and star Sergio Lull is once again looking happy on the court as he regains his top form. After a nagging knee injury that has bothered him since the start of the month and had him sidelined for the last three games he had 18 points and 4 assists in 20 minutes against Obradoiro. Real Madrid (8-4) is currently in second place in the Euroleague trailing only leaders CSKA Moscow, who at 11-1 lead the competition. The Germans poor record on the other hand, has them in 12th place out of 16 teams. Real Madrid has to apply pressure from the start to prevent the Germans from gaining confidence and trying to impose their game. They have already gave scores to CSKA Moscow and the Baskonia, the leaders and fourth place teams of the competition, although in the end they relented and lost both matches. 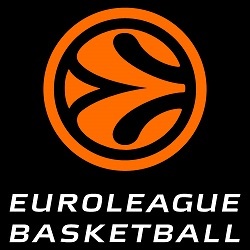 The team coached by Italian Andrea Trinchieri earned a win their last Euroleague game, when they played Turkey’s Andalou Efes and beat them 91-83. The star of Brose Bamberg is Frenchman Fabien Causeur, who was named the MVP of the previous Euroleague week of action. It will be time for Madrid to prove whether the team has fully recovered with a good Euroleague performance at home. The Spaniards need a victory in this match because they gave a mediocre performance in Turkey, where they lost their most recent European basketball match 81-68 against Istanbul’s Darussafaka Dogus.